Experience the Eureka Brushroll Clean with SuctionSeal. Proven Power. With Eureka’s new patented Brushroll Clean Technology say good-bye to the tangled brushroll. This cutting edge technology removes tangles from the brushroll with the touch of a button for a cleaner floor. SuctionSeal Technology with All-Surface Suction Plates concentrates airflow for deep cleaning suction power. As you move across carpet, hardwood or tile floors the plates raise and lower, creating a seal to maximize airflow for powerful cleaning performance. Whether it’s surface dirt or debris hiding in crevices, it’s sucked up and away, without any scattering. Unlike most other vacuums, Eureka Brushroll Clean with SuctionSeal is engineered with AirSpeed Technology for an efficient air path with limited bends and turns. This allows more air to pass through the vacuum. The direct air path from floor to cup decreases the distance for dirt to travel, which increases the amount of airflow for powerful suction. For attachment cleaning, simply set the suction control dial to ‘tools’. The Eureka Brushroll Clean with SuctionSeal includes an automatic cord rewind for quick and easy storage, a 39 foot reach system and a Smooth-Glide pivoting base—making it easier to push over all carpet types. And with soft rubber wheels, it won’t nick or scratch hard floors. The washable dust cup filter is washable, reusable and requires less frequent replacement and the low profile nozzle is engineered to clean under furniture. 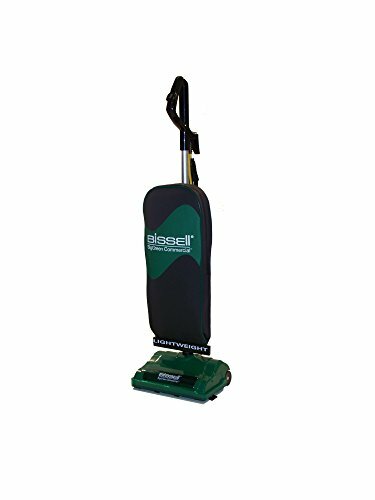 Also included are an on-board crevice tool and dusting brush to effectively clean crevices, upholstery and furniture along with a 5-setting height adjustment which adjusts to clean various carpet and bare floor types.